The geology of the Dudley borough has been internationally famous since the late eighteenth/early nineteenth century. The mines and quarries around the town, (and its fossil shops) were regularly visited by those workers who were founding the science of geology itself. This was because the local rocks yielded rare and beautifully preserved fossils, which allowed these geologists to unravel the story of life on earth. Dudley has a very special place in the history of scientific thought and a totally unique social history associated with it. The famous geologist, Sir Roderick Murchison summarised this in his speech of 1849 saying… “In no part of England are more geological features brought together in a small compass than in the environs of Dudley”. Dudley, 420 million years ago, lay in the middle of a tropical sea. Millions of corals and other sea creatures lived and died in the warm waters of this ocean that is now Dudley. The corals created giant reefs and the shells accumulated on the seafloor, as millions of years went by, turned into limestone. Over time the great tectonic forces have uplifted and buckled the land Dudley is built upon. Over many millions of years the mountains that were created were worn down through weathering. Man too has helped this process by quarrying away the rock, thus rediscovering the fossilised ancient reefs and sea creatures. As a consequence of this scientific activity great interest grew among the local people and one of the earliest scientific societies was born. This society realised that the local rocks had something more fundamental to tell us about ourselves than the simple quest for wealth and they began to assemble a collection of the geological treasures of the borough. The Dudley and Midland Geological Society on its inauguration in 1842 and its successor, the Dudley and Midland Geological and Scientific Society and Field Club, originally established the geological collection. It was in its original state, a gathering for public display of a number of privately owned collections some of which were dispersed to other institutions prior to their passing into the Local Authority’s ownership in 1903. Given that this was such a wonderful and important resource, it is surprising that it has had a difficult history. At some point during the last century it fell out of favour and was removed to the formerly damp basement of the museum to be forgotten about and pilfered. In the 1970’s and 1980’s volunteers of the Black Country Geological Society set about saving the collection and getting it properly stored and catalogued. Shortly afterwards, in recognition of the need and scale of the task, a MSC (Manpower Services Commission) scheme was established formally at the museum and a team was in position for a short time to complete the initial curation of the bulk of the collection. At the close of this project the collection once again sat in storage with a small number of specimens on display in a small gallery in the museum. 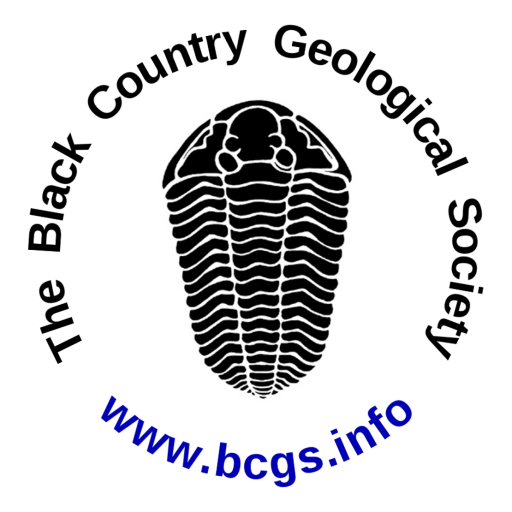 In 1987 the Black Country Geological Society lobbied the council for the appointment of a permanent keeper of geology to look after this precious heritage. The position was created after the BCGS hosted the national body ‘The Geological Curators Group’ who underlined how special these collections are. The first ever keeper of geology for Dudley – Colin Reid, was appointed in 1987. Working together the BCGS and Colin brought forward the service, designed and staged many geological exhibitions and events. Colin left the service in August 1999 and Graham Worton was appointed as his successor in February 2000. In December 2000, work in another part of the museum basement identified dry rot in the floor of the geological gallery ‘The Time Trail’ which when investigated required the removal of the entire floor and disposal of anything which could possibly have been infected with spores. This unfortunately meant all the former cases. Since April 2001 Graham and the team have been designing and putting together grant applications for a successor to the Time Trail with a working title of ‘The Deep Time Exploration Zone’ and have established a temporary geological gallery called ‘buried treasures of the Black Country’ to bridge the gap in the exhibition of geological heritage in the borough. The present collection comprises approximately 15,000 fossil, rock and mineral specimens, the vast majority amassed by the two societies. Approximately 3,000 specimens have been added since the appointment of the first geology curator in 1987 principally through donations from local collectors. Despite its relatively small size the Dudley geological collection is one of the finest collections of local material in existence, matched in terms of quality and quantity by only three other institutions, Birmingham University, the Natural History Museum in London and the British Geological Survey at Nottingham. Out of these collections, Dudley’s collection is the one which is rapidly growing in quantity, quality and scientific integrity as a result of the activities of local collectors and enthusiasts and should in due course become the leading and most important collection of these fossils in the world (as it used to be). Every well appointed natural history museum in the world has Dudley fossils and they are keenly sought. Its main strength is its definitive assemblage of ancient (circa 425 million years old) marine invertebrate fossils from the local Silurian (Wenlock and Ludlow) rocks, notably the superbly preserved corals, trilobites and crinoids from the Wenlock Limestone for which the area is world renowned. The local trilobite Calymeme Blumenbachii (the ‘Dudley Bug’) is so famous that it is considered by much of the international scientific community as the emblem of the town and used to occupy the very centre of Dudley’s coat of arms. There is also a sizeable collection of flora and rare fauna (in particular rare insects and spiders) from the Black Country Coal Measures, notably in ironstone nodules from Coseley. Most significantly the collection contains 20 type and figured specimens, which are priceless to science. In addition to these, three species that are new to science have been discovered in the collections in the last two years and there are likely to be others found as additional research on the collection occurs. The bulk of the collection is preserved in its own atmospherically controlled store. Further storage capacity has just become available which will now permit the donation of at least one major collection to Dudley. The accessioned collection (c.9,500 specimens) is documented to an acceptable standard and computer catalogued using a data capture and search system that was specifically designed, set up and supported by the Authority’s I.T. Section using the very widely used database development platform Microsoft Access.The data system is called ‘Geobase’ and has attracted outside interest from other museums. This in order to ensure year 2000 compliance and to allow future remote data communications (e.g. Internet access using compatible software) replaced an earlier ORACLE database system. The use of a modern data format should allow data compatibility with future systems and avoid lengthy and time consuming reformat and re-input as system upgrades happen. The accession task was achieved with the aid of a temporary documentation officer, part-funded by the WMRMC. A backlog of perhaps 5000 specimens has yet to be formally catalogued and accessioned. Detailed research is required to re-identify/upgrade nomenclature and determine a more specific scientific provenance for much of the original collection (i.e. which bed of rock or specific site a piece came from). Graham Worton, Keeper of Geology 2002. Dudley has moved its Museum and Art Gallery from the building in St James’s Road to the Archives building in Tipton Road. This page shows some photos taken at the reopening in 2017.